Materials and technique: gouache and gold. 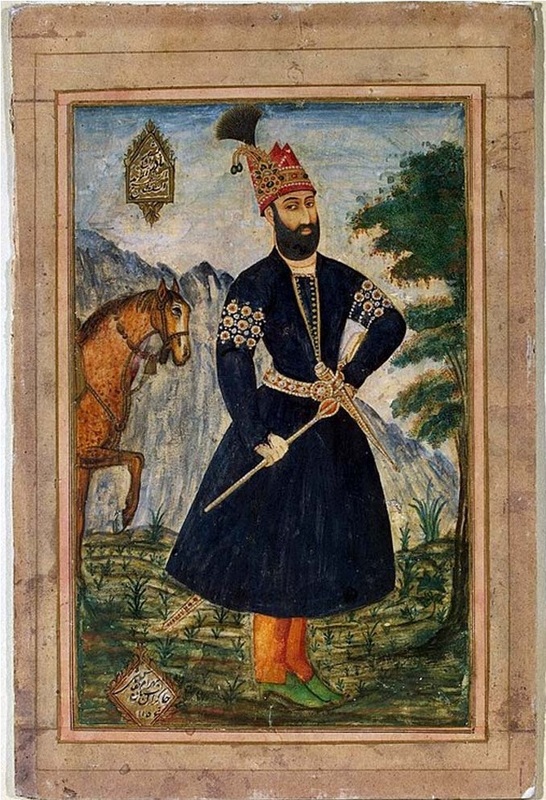 This is a portrait of Nadir Shah by Bahram naqqash-bashi. Nader Shah had a very distinct crown, which makes him recognizable in most of his portraits.